The existence of many farms in Germany is dependent on the level of economic pressure and competition brought by larger scale holdings. More and more small farmers are being driven into ruin and the environment is paying a hefty price. EURACTIV Germany reports. “The world has changed,” said Stephanie Wild from the Solidarische Landwirtschaft network (SOLAWI), a community-supported agriculture project. “Agriculture, which hoovers up resources, is all about short-term yields, but is not sustainable,” she claimed. SOLAWI wants to fight against these wrongs. The idea behind the network, which was started in the mid-1970s in Japan and which today provides a million people with organically-produced food, is simple: a group supports a local farm, taking on the costs for seeds, wages, rent etc. In return, they are entitled to a share of everything the farm produces, giving them access to high quality organic food. A United Nations IAASTD report from 2008 and another from 2011 concluded that industrial agriculture is not the only answer to global hunger, and cited Germany’s 110 initiatives as credible alternatives. A further 100 initiatives are in the planning phase. In 2050, the world population will reach nine billion, a figure often cited to support further industrialisation of agriculture. But a team of 400 scientists concluded in a UN-backed report that the world is already capable of feeding that many people. The best chance to improve production, according to the same report, is to promote smallholders. Larger farms, more technology, more chemicals is a “rat race” that will lead to even more farmers losing their livelihoods, it claimed. 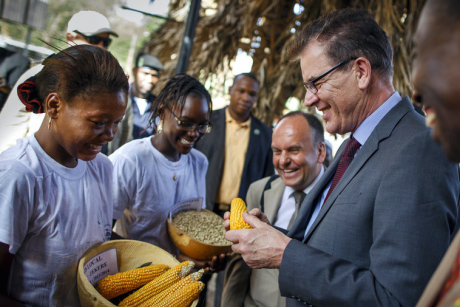 With green innovation centres “Made in Germany”, Development Minister Gerd Müller hopes to eradicate world hunger by 2030, while critics warn the biggest winners in the new initiative could be the wrong ones. EURACTIV Germany reports. Nevertheless, smaller producers are still barely promoted. Agricultural subsidies are still aimed at big landowners. According to an OECD report, 28% of EU funds in Germany went to just 1.8% of producers, in 2013. Fewer and fewer farms are cultivating more and more tracks of land. In the same year, about 94% of cultivated land was done so by conventional agriculture, the report claimed. So does the classic farm, which produces a wide-variety of food in a small space, have a future? SOLAWI expert Stephanie Wild insisted that “it is the only model for the future”. Ultimately though, it will depend under what kind of economic pressure farmers are operating. “Politicians have to offer funding under the polluter pays principle,” Wild claimed. Under this principle, the production costs should be passed onto those who are responsible for future costs caused by loss of biodiversity, loss of livelihoods, soil fertility depletion and contamination of groundwater. Conventional agriculture should no longer be encouraged and taxes should be levied on pesticide use, she said. But this isn’t going to happen anytime soon in Germany. Organic farmers in particular are having a hard time of things. 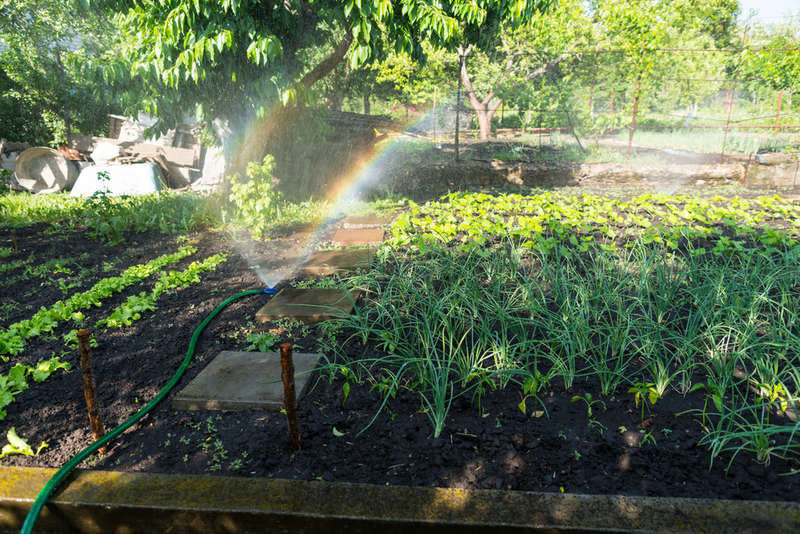 Organic seeds are more expensive than conventional supplies, the workload needed to keep their crops free of weeds is heavier while more crop rotation translates into reduced yields. Still, Germany sees more and more small projects dedicated to improving soil fertility and supporting biodiversity, such as Regionalwert AG and Ökonauten eG. How smaller enterprises are going to sustainably sell their products is another question that needs answering, said Wild. “The market is complex and expensive,” she said. But policy has a role to play for example by making it mandatory for school canteens to ensure a certain percentage of food is bought from local initiatives.